Because they are often large and complex, GUI programming tool kits can be hard to use. wxPython is a combination of the Python programming language and the wxWidgets toolkit, which allows programmers to create programs with a robust, highly functional graphical user interface, simply and easily. wxPython combines the power of an exceptionally complete user interface toolkit with an exceptionally flexible programming language. The result is a toolkit that is unique in the ease with which complex applications can be built and maintained. ""wxPython in Action"" is a complete guide to the wxPython toolkit, containing a tutorial for getting started, a guide to best practices, and a reference to wxPython's extensive widget set. After an easy introduction to wxPython concepts and programming practices, the book takes an in-depth tour of when and how to use the bountiful collection of widgets offered by wxPython. All features are illustrated with useful code examples and reference tables are included for handy lookup of an object's properties, methods, and events. 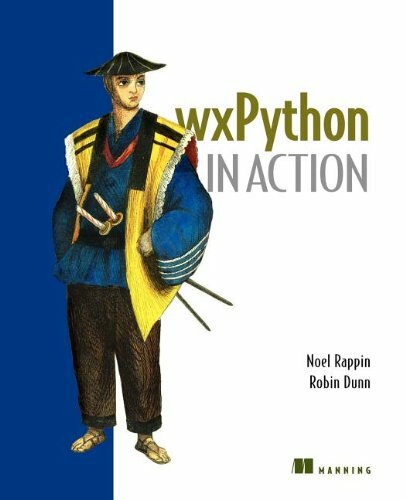 The book enables developers to learn wxPython quickly and remains a valuable resource for futurework.